There are many reasons to be grateful for this coming Thanksgiving Day! More than the turkey with all the trimmings, the classic pumpkins and appetizing side dishes, Diamond Hotel Philippines brings some of the most creative and anticipated culinary offers designed perfectly for this occasion. On November 24, the hotel's prime dining destination popularly known as Corniche, will give you a remarkable dinner buffet discount when you book online. Purchase six (6) dinner buffet from the Online Shopping site at diamondhotel.com and get free buffets for two (2). Indulge in Corniche’s exceptional buffet spread for only Php2580 nett per person and discover more reasons to be grateful for, from the appetizer section to the different selections of international cuisines in the Asian, Western, Japanese, Indian stations; and of course to the most favourite part, the dessert station. Find familiar treats as you celebrate the traditional Thanksgiving fare at the Lobby Lounge. 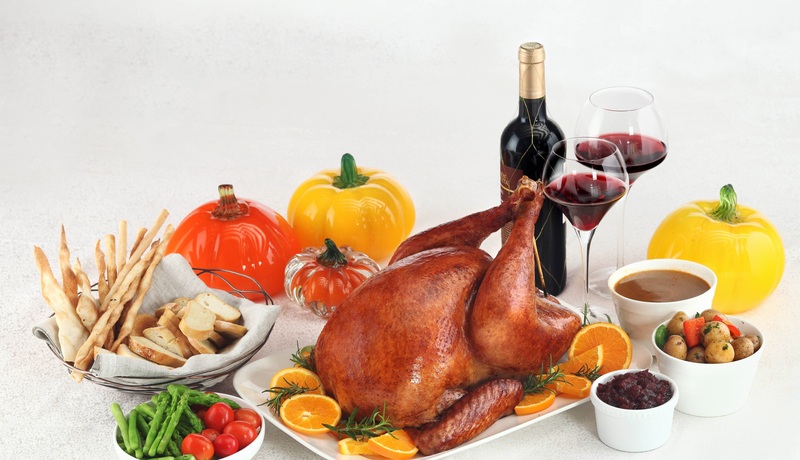 Enjoy a luscious three-course set lunch or dinner with turkey as main course. Get 30% off on sparkling wine by the glass or bottle when you avail of the set. For restaurant reservations please call 528-3000 ext 1121. Terms and conditions apply.